I have a continuing dilemma when it comes to part-year residences. My goal—like anyone’s—is to have a property I can use for part of the year, while renting it out during the rest of the year to cover costs. The problem, of course, is that the season when I want to be there is also when everyone else wants to be there. And the season I don’t want to be there is generally the worst possible time to rent the property out. A demand created by people who have no choice but to be there at off-peak times. With those criteria in mind, here are four markets that fit the bill. Salinas is Ecuador’s largest resort, located less than 90 minutes from the international airport at Guayaquil. Referred to as “Little Miami Beach,” the town features an impressive row of white mid- and high-rise condominiums situated on a crescent bay. There are plenty of restaurants, cafés, shops, and diversions… more than enough to keep you busy and active while you’re in town. The resort is centered on the Salinas Yacht Club, which is a popular destination for international sailors and fishing tours. The club’s picturesque yacht basin is filled year-round with a glittering array of vessels. Long before it became a tourist draw, Salinas was known for its sport fishing. For years, local fishermen have hauled in record-breaking sailfish, tuna, and marlin. The weather in Salinas is super between November and March, in my experience. You can expect brilliant, sunny days, with perhaps a brief shower in the afternoon. If you’d like a place to escape the North American winter, Salinas is hard to beat. Frequently during the rest of the year, however, Salinas is gloomy and overcast. I lived in Ecuador for several years before I ever saw the sun in Salinas. But surprisingly, many expats rent their properties out during the gloomy season. This is because in Cuenca—the closest major city—the kids are out of school between June and September. During this time, many families take vacations, providing a rental demand in Salinas’s off-season. In Salinas, you can enjoy the best weather November through March, but have a demand for rentals in the national market June through September. Chile’s Lake District is a beautiful area filled with magnificent vistas of deep blue lakes, snow-capped volcanoes and natural forests, with dramatic Andean peaks serving as a backdrop. The small lakeside town of Pucón is bustling all summer, with hundreds of shops and restaurants of every description. The world loves it here; I probably heard a dozen languages being spoken the first time I walked around town in early summertime. Pucón’s clean streets and shady, green lawns provide a pleasant backdrop for its tasteful homes. 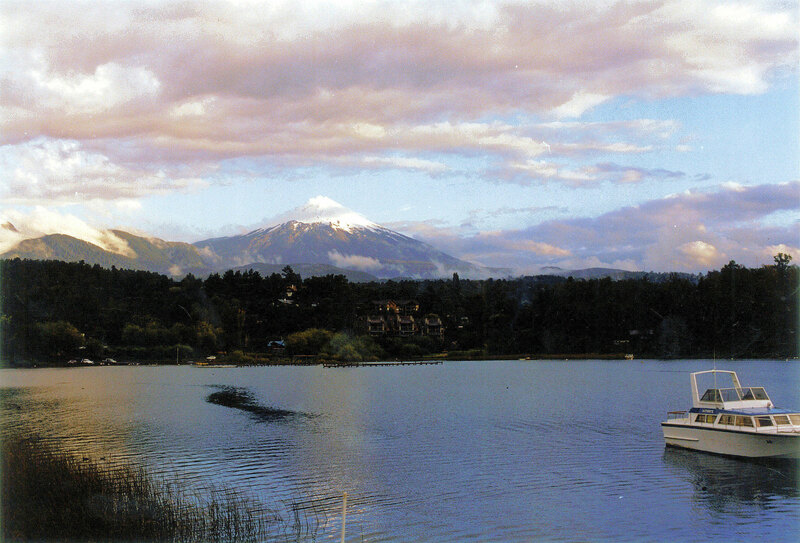 The town is on the shores of the sizeable Lake Villarrica, which provides excellent swimming, boating, and sailing. I love spending summertime days in Pucón and in the entire Lake District. The forests, lakes, and wildlife are at their best, and it’s a great place to escape the North American winter. But in the winter, it’s also a great area for skiing. Less than 20 minutes from Pucón, the ski resort of Ski Pucón offers an excellent skiing infrastructure. It also hosts a number of prominent international competitions. In Pucón, you’ll ride out the North American winter in the Chilean summertime, while renting to the ski crowd during your off-season (or vice versa). 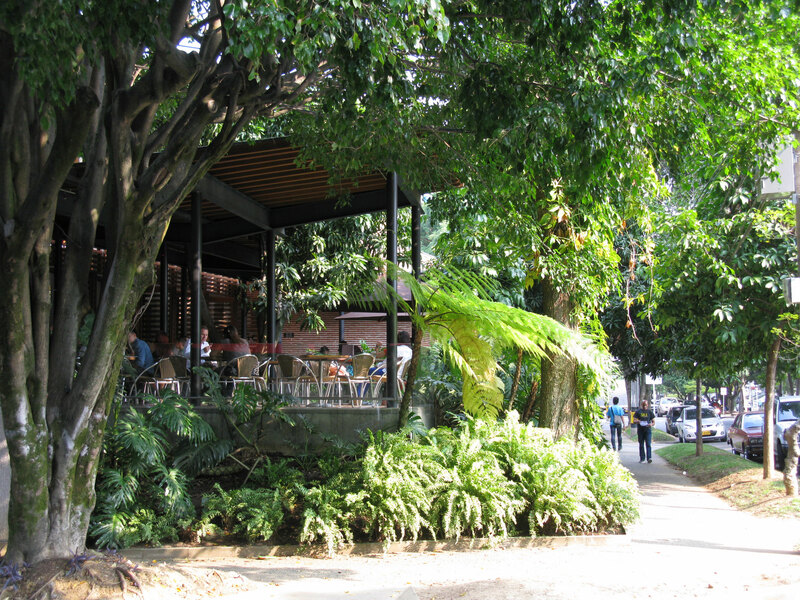 Medellín is built on lush hills, with tree-lined streets, green parks, and meandering roads. Throughout the area, small streams tumble down from the mountains, their borders lined with dense areas of lush, tropical vegetation. The weather is perfect, with its daytime high of 80 degrees Fahrenheit (27 degrees Celsius) subject to only one degree of seasonal variation. I like to say that Medellín is “room temperature”, every day, all year. From the hole-in-the-wall shop selling home-made empanadas to elegant restaurants with fine French cuisine, your dining experience will be varied and limitless. You can also spend an evening at the orchestra or one of 28 theaters, explore the city’s 40 museums, visit its many galleries, or relax in one of 21 parks. And what’s more, the sizzling nightlife in Medellín and its status as the fashion capital of South America draws visitors from around the world. Best of all, the real estate market is seriously undervalued, and rental returns are high. But Medellín offers the same weather, lifestyle, and rental returns all year. If you own in Medellín, no matter where you in the world you live, you can count on Medellín being at its best whenever you want to be there—and you can count on a nice rental demand when you’re gone. With its warm, emerald-green seas, wealth of restaurants and nightlife, and beautifully-restored historic center, Mazatlán continues to be the tourist mecca that’s drawn visitors since the 1940s. 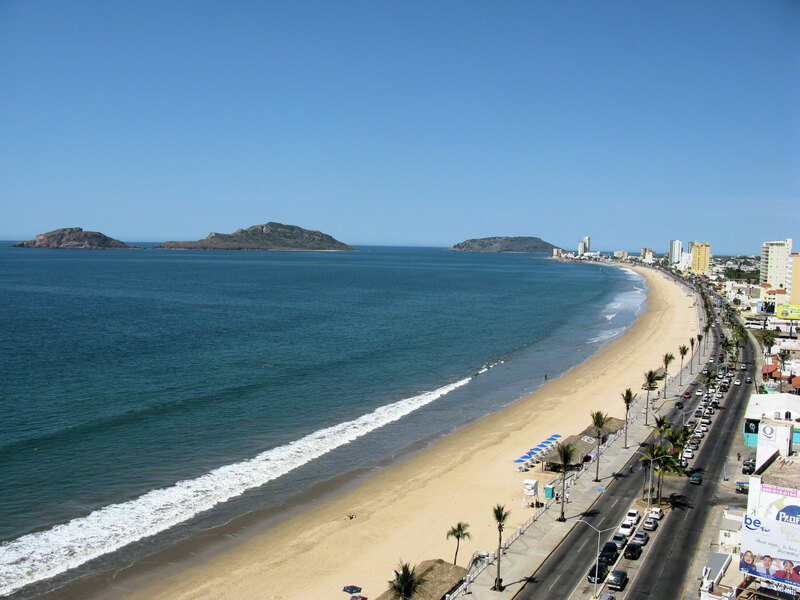 Today’s Mazatlán is popular with Mexicans and North Americans alike, as well as cruise ship travelers from around the world. The Historic Center’s newly-restored Plaza Machado is now the hub for cafes, elegant restaurants, bakeries, and even the old-world, just-refurbished Angela Peralta Theater. While just a few blocks away, the Olas Altas beach sits at the south end of more than 10 miles (16 kilometers) of beautiful beaches. The weather in Mazatlán is just about perfect during the North American winter and you’ll find a sizeable crowd of Canadian and American visitors around town, along with a full-time expat community. People have their windows thrown open so they can enjoy the sea breeze during the day and the cool nights without air conditioning. But summer is another story. In July you can expect temperatures around 90 degrees Fahrenheit (32 degrees Celsius), 15 days of rain, and humidity. Those who tell you that you can let the sea breeze eliminate the need for air conditioning are trying to sell you something. There is however, a thriving rental market in Mazatlán during this time of year. Many Mexican schools have their summer vacations during the North American summer and this is where middle- to upper-class families come for some time away from home. You can’t expect to rent to wealthy Mexicans everywhere, but if you know which neighborhoods to focus on, you can enjoy healthy occupancy rates during this time of year. In Mazatlán, you’ll enjoy the perfect “winter” months of December through March and rent your property to summer vacationers June through August. We’ll take a close look at the Mazatlán market next week. The bottom line is that you can indeed enjoy your part-time home overseas during the best part of the year, while renting it out during the off season to cover your costs. You just need know where to look for that off season demand. Thanks so much for all the info you give – and the way it’s given. I’ve had many questions answered by you. I’m pretty sure it was you who introduced us to a realtor who lives and works in Las Playas, Ecuador. We are thinking of moving there this summer after selling our home in California. Can you send me this person’s email address so I can see about renting a home temporarily while hoping to buy a dream home a little later? The realtor that Sonja is referring to is Mike Sager. 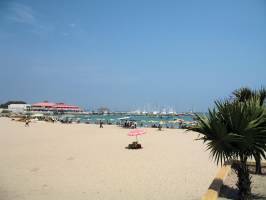 He’s our expert on the emerging town of Playas, as well as other parts of the Ecuadorian coast. You can get in touch with Mike here. The condo resorts that you mention occasionally are appealing to me, and I would be interested in not only renting a property out, but also using it myself. Do you know of any that are any built in an urban area like Panama City (or other city with resort appeal)? I would be bored silly, stuck in a typical resort beach environment.